Local media outlets take a lot of heat for what gets covered and what doesn’t. Here’s a story from this past weekend that shows how reporters get attacked from all sides. 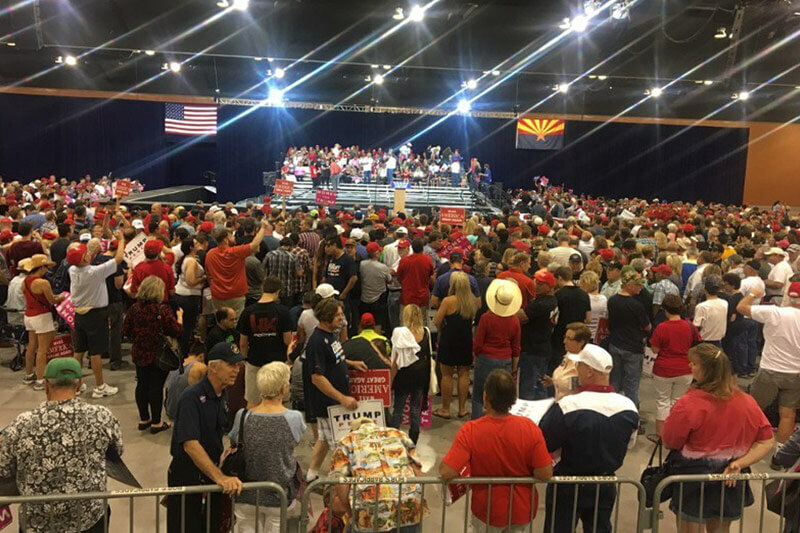 Late Saturday night, I was following Twitter and seeing all the national and local media tweets from the Donald Trump rally at the Phoenix Convention Center. I was an hour or two behind, so not following in real time. In addition to a raft of national reporters, Arizona Republic reporters Yvonne Wingett Sanchez and Dan Nowicki and Brahm Resnik from Channel 12 were all live-tweeting from the rally and providing a blow-by- blow account of Trump’s remarks as well as reactions from inside the hall. Suddenly, I saw a frightening tweet from Nick Corasaniti of the New York Times, with a short video of a Trump supporter yelling “Jew-S- A” to the press box, shortly after Trump had attacked the press from the podium. By now, the rally was over and the tweet was going crazy (eventually over 3,000 retweets) and popping up on liberal blogs like Talking Points Memo. But as I kept scrolling, through the rally coverage on Twitter, there was nothing from any of our local reporters. Given that Sanchez, Nowicki, and Resnick had all been live-tweeting crowd reactions from the rally, it seemed odd that this incident wasn’t being addressed. So I called them out. Sanchez and Resnik quickly responded. Fantastic that the reporters responded — It makes sense that you can’t do real-time reporting on things you don’t hear directly. By the end of the evening, reporter Bill Pitts had picked up on the fact that the racist chanter had a name — George Lindell — and presumably had used up his 15 minutes of fame back in 2011. By Sunday morning, CNN had an article on the Jew-baiting chanter and Jake Tapper was asking Trump campaign manager Kelly Ann Conway to denounce Lindell. At the same time, a 21-hour old tweet from Dennis Welch at Arizona Family 3, touting his coverage of the Trump rally, popped up on my feed (one of the things I hate about Twitter). Seeing that he hadn’t done anything yet on Lindell, I tweeted at him as well. Within five minutes, Welch called me directly to describe the scene inside the Trump rally. The crowd of 7,000 was loud and boisterous and apparently the local press was separated from the large national press corps. Like Resnik, Welch said he saw Lindell chanting but could not hear anything that he could report on directly. “I don’t want anyone to think I would have deliberately suppressed something like this,” Welch told me. And Sunday night’s 3TV newscast had a short segment with the Lindell video and the Tapper exchange with Conway. Bill Scheel is a founding partner of Javelina. Throughout his 35 years in Phoenix, Bill Scheel has been deeply involved in both the economic and political development of the sixth largest city in the nation. 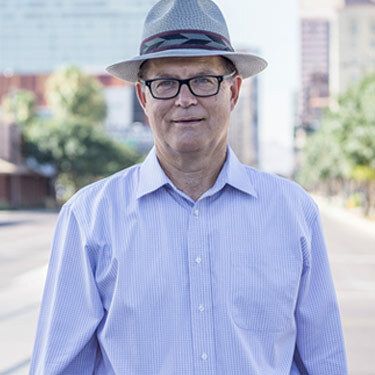 His leadership in neighborhood-scale urban development, passion for preservation, and visionary approach in linking the needs of diverse residents to the growth of Phoenix has been pivotal to the city’s success. Read more posts by Bill.